Do Mushrooms Affect Testosterone Levels? Without the primary male hormone testosterone, you’ll find it hard to trigger real muscle growth. Not only that but you’ll struggle to gain strength too and your energy, motivation and mood will be at rock bottom. How do you fix it? If you’re looking to optimize your T levels you need to think nutrients. A small and humble vegetable, the white button mushroom might be a great source of natural nutrient compounds that reduce aromatization. But are mushrooms all they’re cracked up to be? Should this simple food be part of your man diet? In this article, we take a look. Testosterone (T) is the principal male hormone. It is a natural steroid that plays a number of important health and performance-related functions. It provides you with anabolic benefits such as protein synthesis, muscle mass and strength. Testosterone also provides you with androgenic characteristics such as body hair, a chiselled jaw line and an assertive, masculine presence. All in all it’s what you a man. Throughout your late teens and twenties, your T levels are at their peak. But as you hit thirty or so, your production of male hormones begins to decline by 1-2% per year. A normal reading would be between 300 – 1000 ng.dL. Once your testosterone levels drop below 300 ng.dL you have clinically low T – a condition called hypogonadism. And for many men that means a loss of muscle mass, a drop in libido and physical performance and the beginning of a much harder war against belly fat. Testosterone works as part of a very clever feedback loop. When levels drop, your brain tells your testes to produce some more. And when levels go too high it released enzymes to bring it back down. In order to stop your T levels from going too high, your body has a clever way of removing some of it – and this process is called aromatization. What happens is that some of this testosterone is converted into the hormone estrogen by an enzyme called aromatase. You’ve probably heard of estrogen before – it is the hormone that regulates female cycles and gives them their feminine characteristics. 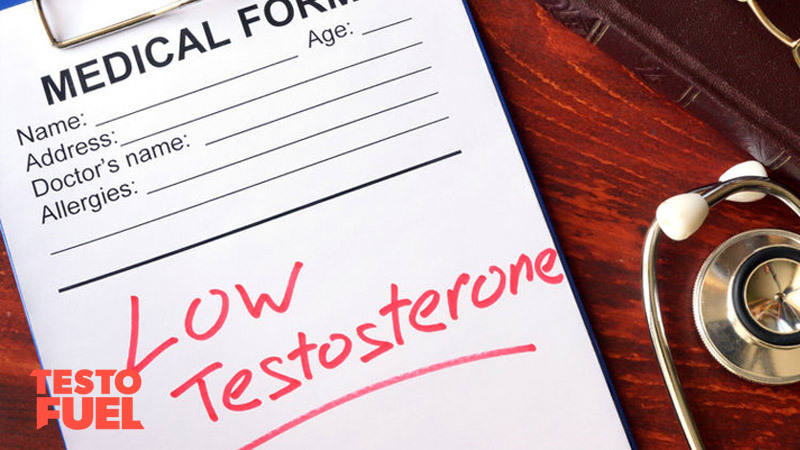 It sounds bad, but it’s completely formal and allows testosterone to optimize itself. But although it’s a natural part of T regulation, if aromatase is too active you can end up with too much estrogen in your body. Excess aromatase activity basically ‘feminizes’ men. And as a masculine male, that’s bad. Very bad. So unless you want breast growth, loss of muscle tone or a significant drop in health and performance, it’s important that you inhibit excess aromatization as best you can. That way you can maintain your T levels. Key Point: Aromatization occurs when testosterone is converted to estrogen. This can lead to ‘feminization’ and a loss of masculine characteristics. Agaricus Bisporus – an Aromatase Inhibitor? There are a number of foods and natural testosterone boosting nutrients that inhibit excess aromatization. Agaricus bisporus, also known as white button mushrooms, are the most commonly available and consumed varieties in the world. And this simple food might well be the key o inhibiting aromatization. Native to Europe and North America, these mushrooms are either white or brown in color. When mature they are known as portobello mushrooms – flat, dark and open-capped mushrooms that are often stuffed and used as a meat replacement. When immature they are small and round. So what’s the research say about this powerhouse vegetable? 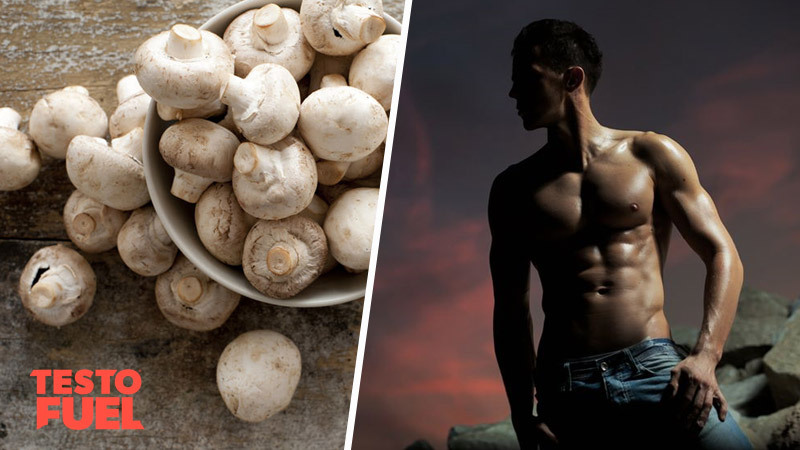 Surprisingly there isn’t much research linking white button mushrooms to testosterone, but the ones that have been conducted show some interesting results. A 2001 petri-dish study published in the Journal of Nutrition found that in isolated cells, white button mushrooms could inhibit aromatization in post-menopausal women, which in turn reduced estrogen levels. The research team suggested that “diets high in mushrooms may modulate aromatase activity”. In one of the very few human trials, post-menopausal women with breast cancer were treated with varying doses of white button mushrooms, ranging from 5-13 g of an extract. This was done over a 3-month period. Although there was an upward trend towards significant results, there was no actual significant reduction in activity of aromatase enzymes or estrogen levels. The extract failed to change aromatase activity by the pre-determined benchmark level. The researchers concluded that “aromatase is sensitive to short-term changes, but not at high enough concentrations to significantly reduce estrogen levels from baseline”. This 2006 trial from Cancer Research again looked at the role of mushroom as an anti-cancer and anti-estrogenic agent. To do this, the research team treated hamster cells and live mice to assess how an extract of Agaricus bisporus would affect estrogen receptors. The extract was found to decrease cancer cell growth and decrease aromatization. The paper concluded that whilst these results were positive, human trials would be needed to further explore its role in anti-estrogen modulation. The claim that mushroom extract can reduce estrogen and by effect boost testosterone has been seen in only a small amount research papers. To date there have been no human trials using men. Based onanimal and female cancer survivor studies, some supplement manufacturers have jumped on the band wagon and formulated white button mushroom extract. They are then selling it to unwitting men as an anti-estrogenic. Itn reality, it is far too early to refer to it as a T-booster. Especially as no research exists that backs this claim up. There’s only a minimal amount of evidence at present that mushrooms reduce aromatization. And with limited human clinical trials to base a conclusion on, you have to be wary when transferring in-vitro and cancer research to healthy men. With mushrooms being so cheap, easy to find and versatile cooking ingredients, they are a definite food item for any shopping basket. And with a generous nutrient profile and health-boosting properties, you’d be missing out if you didn’t include them in your diet. In reality, it’s too early to say if white button mushrooms can inhibit aromatization, reduce estrogen or boost testosterone. Plainly because the bulk of research comes from either a test tube, animals or cancer survivors. As an actual extract-based supplement, we’d say to avoid white button mushroom and instead just add the whole food to your diet. There are just so many other higher quality T-boosting supplements to choose from that are much more well-researched in comparison. TestoFuel is a top-of-its-game testosterone booster formulated through exhaustive research. It contains only the best quality, natural nutrients. As a revolutionary muscle building supplement, TestoFuel provides you with accelerated growth and the essential building blocks to boost your T levels. What foods can block estrogen?